Even if you're a die-hard Nintendo 64 fan, this fan-made mod for Super Mario 64 is more challenging than you would ever expect. 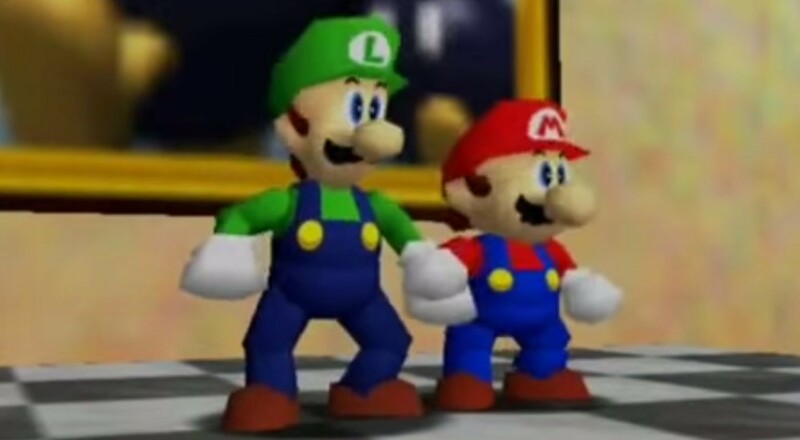 Super Mario 64 Multiplayer adds Luigi as a playable character, introducing a co-op mode to Nintendo's landmark 3D platformer for the first time and unleashing sheer chaos in the Mushroom Kingdom as part of the process. My partner Alex and I streamed Super Mario 64 Multiplayer last week, and if you missed the live show, we've uploaded an archived version below. Neither of us were prepared for the many, many deaths that awaited us. Super Mario 64 Multiplayer is a beast of a challenge, and the Nintendo 64 hardware will fight you every inch of the way as it tries -- and mostly fails -- to keep both Mario and Luigi on-screen using its limited camera system. Watch the video above and we'll show you how to get 10 of the easiest stars to reach in Princess Peach's castle, granting access to the Winged Cap and putting you on the road to a showdown with Bowser. If you want to take your Bro Strats to the next level, this YouTube playlist showcases a number of tool-assisted Mario 64 strategies that are only possible using the co-op mod. Beware: unless you and your Player Two are on the exact same mental wavelength, these strategies are guaranteed to backfire and kill you both. Thanks, Mario. Page created in 0.9568 seconds.